Young foreign Estonians – start making plans for summer! There’s been so much going on! Kristina Kallas has been the chairman of the supervisory board of the Integration Foundation for two years now. Agnes Aaslaid invited her to look back on 2017 and look ahead to what 2018 might bring. Kristina, you’ve chaired the supervisory board since December 2015. What have we achieved in the last two years? We’ve made quite a lot of changes to the foundation’s action plan. For example, we took things out that supported people in emigrating from Estonia. Given the demographic situation we’re in, they seemed pretty laughable. They were definitely relics of a bygone era. We’ve made huge strides when it comes to organising Estonian studies, particularly in developing the concept of the Estonian language houses and in preparations to set them up. We’ve also reviewed our support for the activities of national minority cultural associations and the foundation’s communication and visibility generally. The thing I’m most proud of is the international integration conference we run, which has been going for two years now and which we’ve organised really well. It’s shone the spotlight on the foundation again in Estonia and earned us international attention as well. Plus it’s made integration something the public are talking about again. How has the foundation done in 2017 in your view? It’s been a hard year, what with the decision to move the foundation to Narva in 2018, which left a lot of people feeling unsure of themselves. That affected our work for a while. And then we got a new director. In that kind of situation even getting back into a regular working pattern’s an achievement. But our biggest successes this year in terms of what we have to offer are the Estonian language house concept we came up with in cooperation with the Ministry of Culture, the integration conferences we’ve organised and the new targets we’ve set for ourselves. What does the foundation need to do in 2018 so that we can look back on the year and heave a sigh of satisfaction? - implementing a new and more effective approach to our communication so that the foundation is the main spokesperson for integration issues in society. We also need to take what we’re offering to the next level, like for instance turning more of our attention to promoting media criticism and civic education among young people and broadening our cooperation networks. Plus we need to make some changes in the way we support the work of national culture associations so the support we give them actually helps them grow and develop. What will you remember most about 2017? Probably how exhausting it was, since there’s been so much going on! There’ve been some sweeping changes in the foundation, and that’s meant a lot of talking to people and the public. We’ve made a start on new initiatives like the Estonian language houses and the Creative Incubator in Narva. In autumn we had the Narva Cultural Capital project, and in 2018 we’re launching the Narva Music Festival. Plus we’ve had the Estonian presidency of the Council of the European Union, and next year’s the country’s centenary. The former involved, and the latter’s already involved, lots of different events and performances and visits in Narva. I also worked closely with the OSCE this year when we assessed the national integration programme in Kyrgyzstan. That saw me flying all the way to Bishkek once a month. Ukraine’s also taken up a fair bit of my time and concentration, as we worked with Zaporizhia State University to develop multilingual education models, and we’re also supporting the Ukrainian Ministry of Education in their attempts at education reform. All of this is in addition to my main job, which is heading up Narva College of the University of Tartu, where we’ve also seen big changes this year – like the first group of foreign students that started studying there this year. But working with such fantastic teams all over the country means that all of the things I just mentioned have been a success! It would be interesting to know what you get up to in your spare time. Do you have a hobby you plan to spend more time on in 2018? Commuting between Tartu, Tallinn and Narva and bringing up three small kids doesn’t leave me with much time to myself, although I have managed this year to teach myself to more effectively switch off from work. Reading helps me with that. I like reading science-based stuff, but also literature. My partner tries to coax me out into the woods of a weekend or to go canoeing or whatever, but I prefer to curl up at home with a good book. For summer I set myself the goal of doing as much exercise as possible, since all that driving and all those meetings and all that office work mean sitting around all the time, which is bad news physically. I started running to work off stress. I downloaded RunKeeper, which keeps pushing me all the time now. I used to think running was something only vain people did, that it wasn’t the done thing for someone working in academia to be seen parading about town in lycra. But I’ve come to realise how important exercising is as part of my lifestyle. Your brain works better if your body’s in good shape, too. If I get a free moment of an evening or on the weekend I like reading and watching films with my kids. It’s fun doing their homework with them as well, like the projects they’re given about plants and animals to do with their parents. If you’re a teacher reading this, please give them more homework like that! Albeit with enough of a heads-up so us parents who travel a lot for work can plan time to do them with them. We would like to let those interested in Estonian language studies know that registration for the courses being held in the first half of 2018 will open on 10 January at 12:00 on our website at https://www.integratsioon.ee. During the new year the foundation will be offering courses at the A1, A2, B1 and B2 levels that are free of charge for the participants. 41 courses will be opened in January in Tallinn, Tartu, Narva, Sillamäe, Jõhvi and the Ahtme district of Kohtla-Järve, offering a total of 650 places. The courses, which are being run by the NPOs Atlasnet and Folkuniversitetet Estonia, will be held between 17 January and 20 June 2018. Anyone who is unable to register in January or for whom the times and venues of the courses are unsuitable will be able to register again in August 2018. The courses are aimed at new immigrants and permanent residents in different parts of the country whose integration has been limited and who come from a linguistic and cultural background other than Estonian. 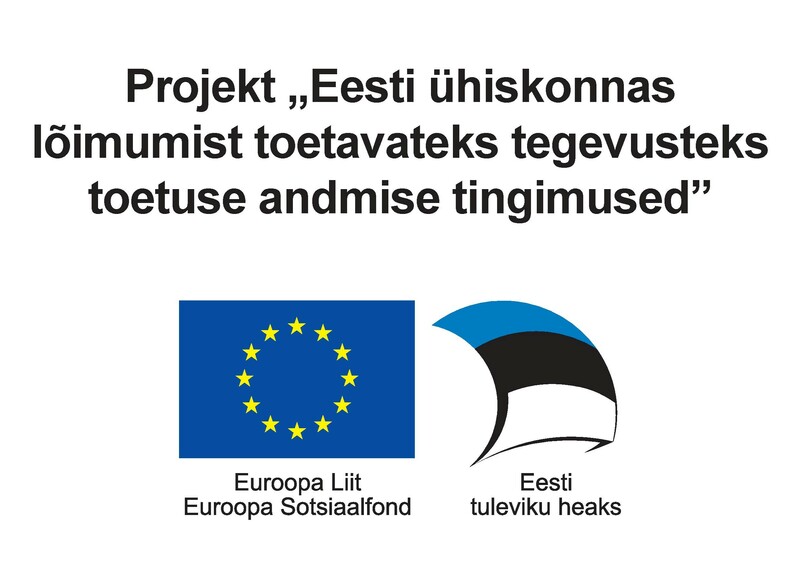 The courses are organised with the support of the European Social Fund project ‘Terms and conditions of the provision of support for activities promoting integration in Estonian society’ and from the budget of the Ministry of Culture. The Integration Foundation, in association with the Estonian Human Rights Centre, is inviting anyone interested to take part in a diversity management training day from 10:00-16:30 on 6 February 2018 in Tallinn (venue TBA). The aim of the training is to increase awareness of diverse working environments and to demonstrate ways of creating a working environment that respects diversity and is itself functionally multicultural. The working language of the event will be Estonian. The trainers for the event will be Estonian Human Rights Centre founder and director Kari Käsper and the centre’s equal treatment expert Kelly Grossthal. To register, fill in the form at https://goo.gl/forms/8iFKKbmz8L0ZY7S23 by 19 January 2018. The training is being provided as part of the ‘Cross-border cooperation on mentoring and peer support for less integrated long-term residents who are unemployed CROSS CB525’ project. During the project, a mentoring programme which promotes social integration and finding work is being offered in Estonia to less integrated permanent residents who are currently unemployed. Activities emphasising the value of diversity are also being carried out in companies in the country. Both the programme and the activities are designed to increase awareness of diverse working environments and to better prepare organisations to recruit people from different national backgrounds. The project is being supported from the resources of the INTERREG Central Baltic 2014-2020 programme financed by the European Regional Development Fund. The partners in the project are the Integration Foundation and the Föreningen Luckan r.f branch Luckan Integration. At 15:30 on 1 February the Narva Advisory Centre will be hosting an ‘Estonian citizen’-themed Afternoon Tea for social studies teachers from schools in Ida-Viru County. They will also be introducing the Integration Foundation’s new brochure ‘6 Steps to Becoming an Estonian Citizen’ and talking about citizenship courses. The centre will be offering the teachers a social studies lesson in schools for students aged 15-19, during which its advisors will outline the new brochure to the students and share information on citizenship courses. The aim of organising the event is to advise and inform young people living in Estonia who speak Russian as a mother tongue and who need such information. In 2018, throughout which Estonia will be marking its centenary as a republic, we look forward to welcoming Estonians who live abroad on visits to their homeland. What better gift could they give the country for such a special birthday? Another reason for visiting is the Estonian language and culture summer camps being organised by the Integration Foundation. In 2018 we’re inviting more than the usual number of foreign Estonian youngsters to take part in the language and culture camps being held in Estonia. The camps, which are open to young people aged 13-18 who have an Estonian background but live in other countries, give the participants the chance to study the language, get to know Estonian kids their age and learn more about Estonia’s cultural environment. They go sightseeing and on excursions and play sport together. The organisers of the camps want Estonian youngsters living abroad to feel a connection with their homeland and its language. Taking their language skills into account, we recommend that the youngsters choose their camp so that beginners attend Camp 1 or Camp 3, those with intermediate language skills attend Camp 2 or Camp 4 and those with advanced language skills attend Camp 5. The camps are being held in areas of outstanding natural beauty in Viljandi County at Venevere Holiday Village http://venevere.ee and Sammuli Holiday Village www.sammuli.ee. The foundation will inform the selected applicants by e-mail by 15 April 2018. We recommend that anyone with experience of drawing up projects keep a close eye on the Integration Foundation’s website and Facebook page in January, where information will appear on the opening of an application round in support of cultural and sports projects. The total budget of the competition is 79,000 euros. Via the competition, the foundation is supporting joint activities in the fields of sport and culture as partnership and inclusion projects that enhance social cohesion, incl. the generation of everyday contact between people from different linguistic and cultural backgrounds, communication and involvement in society. The competition is being financed by the Ministry of Culture from the state budget. The deadline for the submission of applications is February 2018. Projects must be implemented between March and November. The state has been financially supporting the activities of national minority cultural associations since the early 1990s and is to continue doing so for the next years. The Integration Foundation has launched a competition to support the activities of the umbrella organisations of national minority cultural associations for the period from 2018-2020. The application round for activity support for the umbrella organisations of national minority cultural associations is based on a period of three years rather than one so that the organisations are able to plan their development in the longer term. Activity support is financed by the Ministry of Culture. The budget in the first year of the application round (i.e. 2018) is 452,000 euros. Pirgop says that the amount available in the following two years will depend on the recipient’s results from the previous year. In parallel with the activity support competition, the Integration Foundation has launched a project-based competition designed for national minority cultural associations, at the heart of which is the 100th anniversary of the Republic of Estonia. “We’ll be supporting events organised by national minority cultural associations and their cooperation with other Estonian cultural organisations in celebrating the centenary,” Pirgop explained. The total budget of the competition is 80,860 euros, with a maximum of 6000 euros being awarded to a single project. The deadline for the submission of applications for activity support is 23 January 2018, while those for the cultural society project competition can be submitted until 9 January 2018. In the last three-year period, 16 umbrella organisations of national minority cultural associations and their members were supported – 231 associations in total. The winners of the 2017 Citizen’s Day essay competition – the youngsters who most impressed for their way with words in describing what they would give as a gift to mark the 100th anniversary of the Republic of Estonia and what app they would use in the future to help take Estonia further – were awarded for their efforts at a special ceremony held on 28 November. An overview of the winners and their essays can be found online at https://www.integratsioon.ee/bw_client_files/integratsiooni_sihtasutus/public/img/File/2017esseekonkurss.pdf. The ceremony at the House of the Blackheads was followed by an event in the Riigikogu at which the audience was addressed by President of the Republic Kersti Kaljulaid and President of the Riigikogu Eiki Nestor. In addition to the youngsters, the event was attended by the majority of the government as well as Arnold Rüütel and his wife. We’re all united by Estonia! We hope you enjoy the festive season with your friends and family and that the new year brings you even more quality time together.